'Notes from Underground' is a study of a single character, 'the real man of the Russian majority', and a revelation of Dostoyevsky's own deepest beliefs. 'The Double' is the nightmarish story of Mr Golyadkin, a man who is haunted or possessed by his own double. By the time he was released in 1854, he had become a devout believer in both Christianity and Russia - although not in its ruler, the Czar. During the 1860's, Dostoevsky's personal life was in constant turmoil as the result of financial problems, a gambling addiction, and the deaths of his wife and brother. His second marriage in 1887 provided him with a stable home life and personal contentment, and during the years that followed he produced his great novels: Crime and Punishment (1886), the story of Rodya Raskolnikov, who kills two old women in the belief that he is beyond the bounds of good and evil; The Idiots (1868), the story of an epileptic who tragically affects the lives of those around him; The Possessed (1872), the story of the effect of revolutionary thought on the members of one Russian community; A Raw Youth (1875), which focuses on the disintegration and decay of family relationships and life; and The Brothers Karamazov (1880), which centers on the murder of Fyodor Karamazov and the effect the murder has on each of his four sons. These works have placed Dostoevsky in the front rank of the world's great novelists. Dostoevsky was an innovator, bringing new depth and meaning to the psychological novel and combining realism and philosophical speculation in his complex studies of the human condition. Fyodor Dostoyevsky(18211881) spent four years in a prison in Siberia, after which he was obliged to enlist in the army. His novels, including Crime and Punishmentand The Brothers Karamazov, rank among the greatest of the nineteenth century in any language. 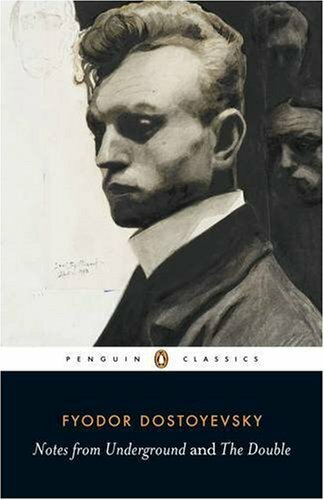 Ronald Wilkshas translated volumes by Chekhov, Tolstoy, and Gogol for Penguin Classics. Robert Louis Jacksonis B. E. Bensinger Professor Emeritus of Slavic Languages and Literatures at Yale.